Silly Sir Brewing Co.What is the Pickle Tournament? 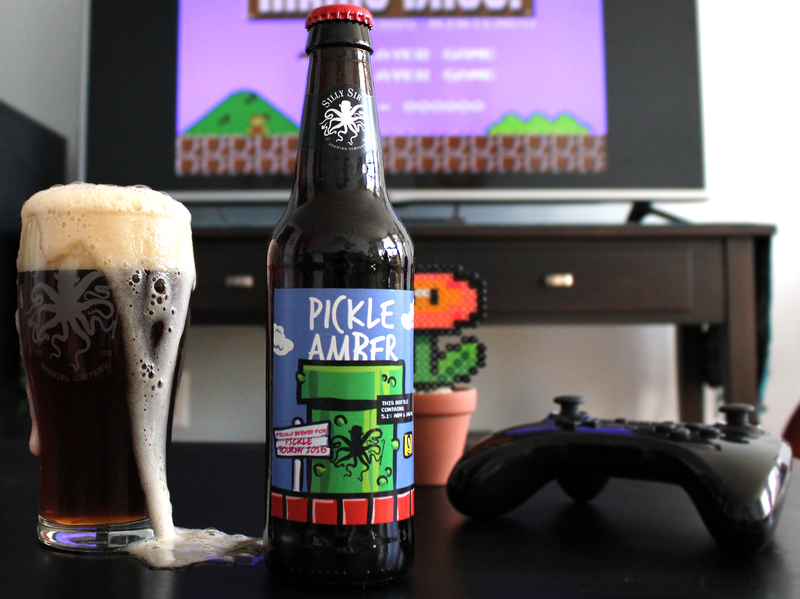 - Silly Sir Brewing Co.
Pickle Tournament is at its core, a gaming tournament. A really silly gaming tournament where participants are encouraged to embrace the absurd. Some people wear tape on their heads, make pickle sculptures, or make pickle martinis without fear of judgement. In fact, such antics are openly encouraged. Being silly at Pickle Tournament is of course not mandatory – being silly isn’t fun if it’s mandatory. It’s really just about just lowering your guard slightly to embrace your inner pickle, (whatever that means to you). 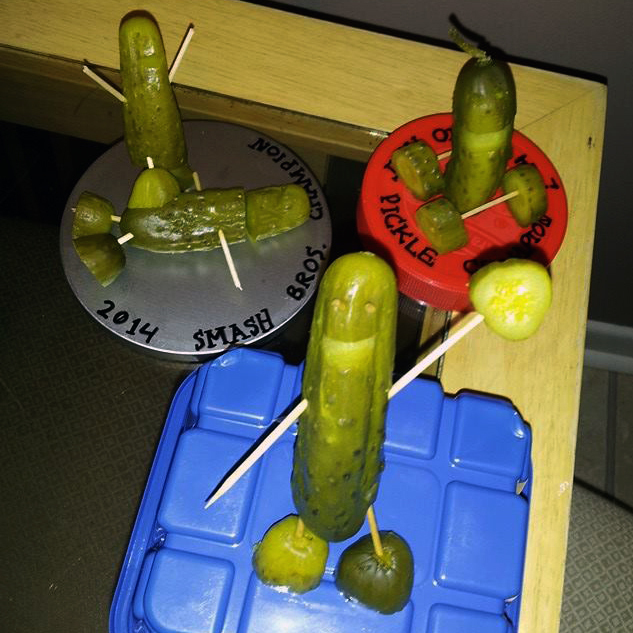 Since its inception, Pickle Tournament has grown to accommodate more people, and more ridiculous activities. The initial “beta” Pickle Tournament saw only around 7-8 competitors who competed for trophies that Sara and I made out of actual pickles and toothpicks. One of them was for ping-pong. Incredibly stupid. They became dehydrated/wilted very quickly. It’s since become so over-the-top and competitive that we now ask for donations to help cover some of the costs. It’s a lot of fun putting so much time and effort into something so nonsensical. We take the planning very seriously, and are proud of the results. 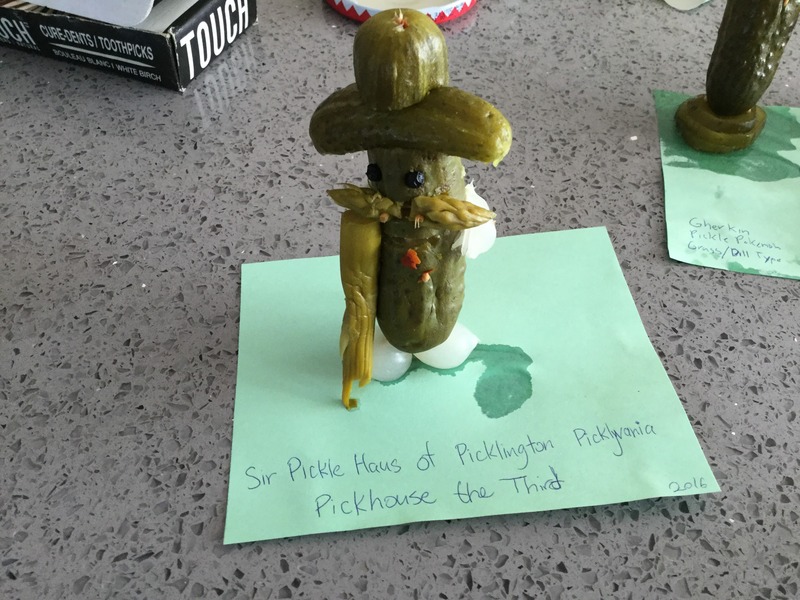 Below is an overview of each Pickle Official Pickle Tournament to date. Additionally, participants were encouraged to wear silly hats for a chance at winning the Silly Hat Trophy. There were fewer than 14 competitors overall. 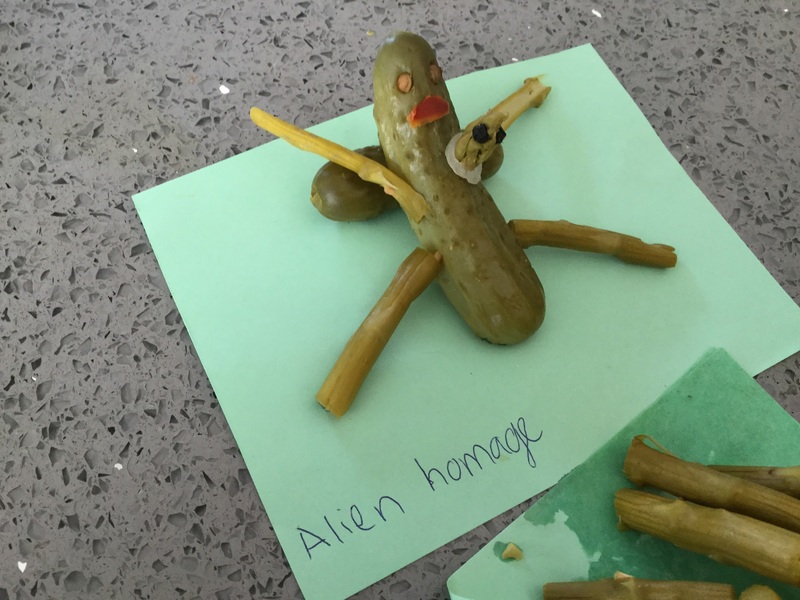 The 1st annual Pickle Tournament set the stage for what was to come. Congrats, Arlee on your Nintendo Land win! 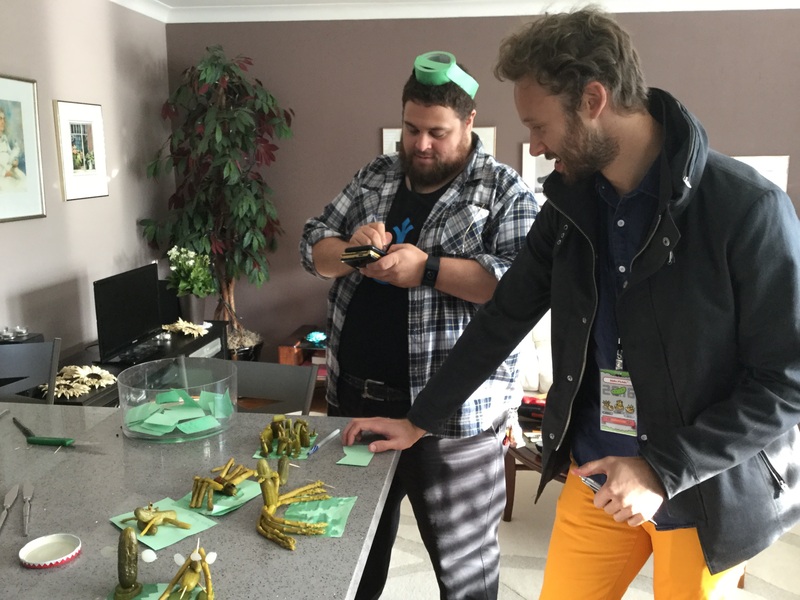 The 2nd Annual Pickle Tournament started with the recitation of a pickle oath, and spiralled into jubilant madness. 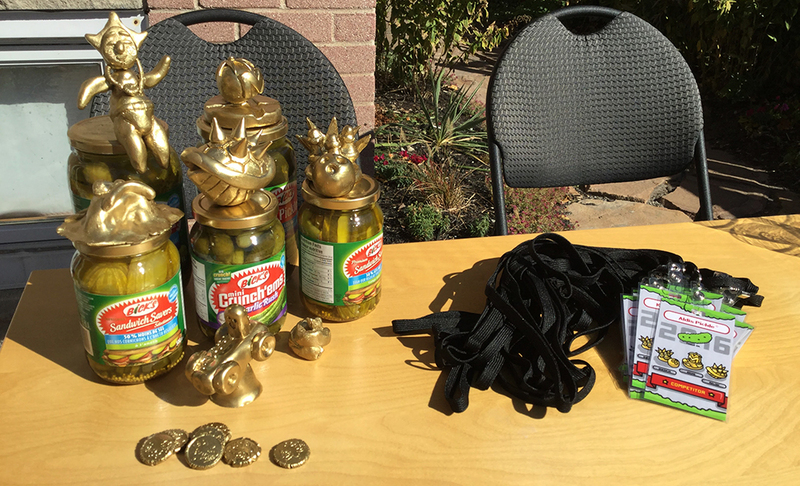 This year's prizes expanded to include the Pickle Spirit Award, and the Pickle Mascot Drawing Competition Trophy. Pickle Spirit was awarded to the competitor who showed the most enthusiasm and love for all things pickle. The first Pickle Spirit champion shared cucumber martinis with attendees, brought several jars of pickles, and wore bright green pants. I wish we had pictures of Michael at PT2 - he is a legend. 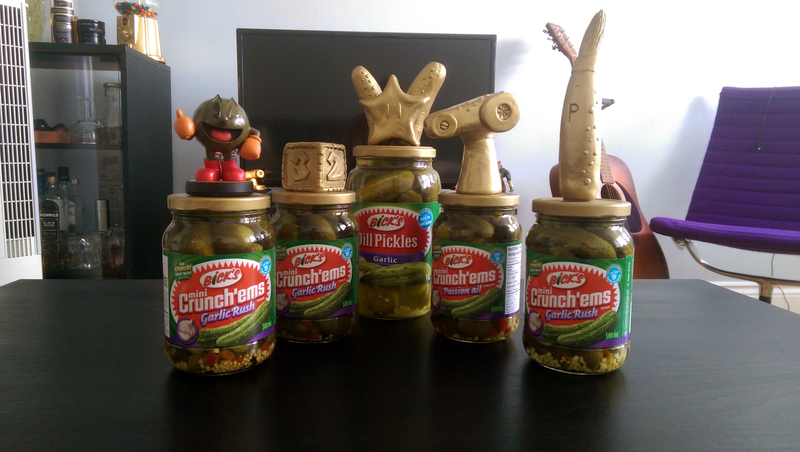 2nd Annual Pickle Trophies - Left to right: Smash 4 (+Amiibo prize), Mario Party 10, Pickle Spirit, Mario Kart 8, Mascot Drawing. 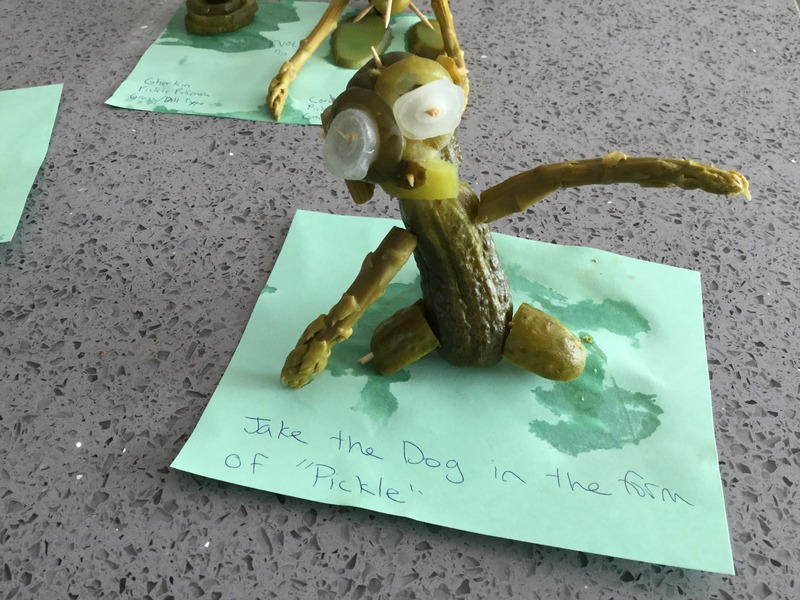 Our ambitions further expanded in the second annual Pickle Tournament and drew out 24 competitors, and several more attendees. 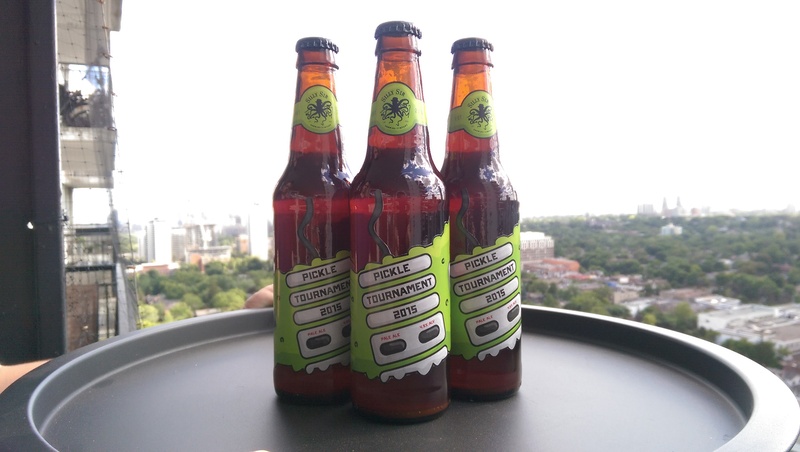 I was just starting out homebrewing and thought it’d be wise to brew a pickle beer for the tournament. I brewed a Brewer’s Best APA All Grain kit as a base for the recipe, and added fresh dill to the secondary fermenter. It was my first all grain batch, and while it wasn’t the worst, it wasn’t a recipe I’ll repeat anytime soon. The infamous "Pickle APA" - With Fresh Dill! Buy yours never (-ever)! It has dill! In order to really shake things up, five unmarked bottles were filled halfway to the brim with pickle brine. Competitors who were (un)lucky enough to find and finish a “pickle bomb” beer were inducted into the Pickle Hall of Fame - WHICH EXISTS SOMEWHERE I SWEAR! So far, Mario Kart 8 and Smash Bros. 4 have been consistent pillars at each Pickle Tournament. There's always also a third game that is variable and less intensely competitive. This year’s tournament saw competitors compete in a round of Mario Party 10. 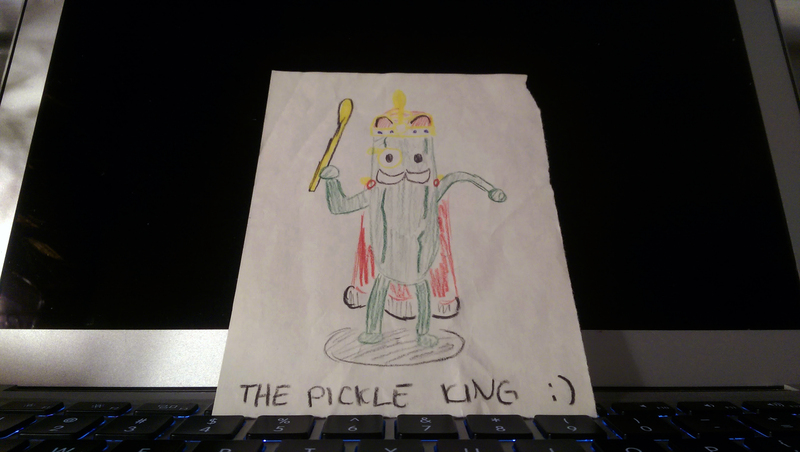 As for our special event: we hosted a pickle mascot drawing competition. 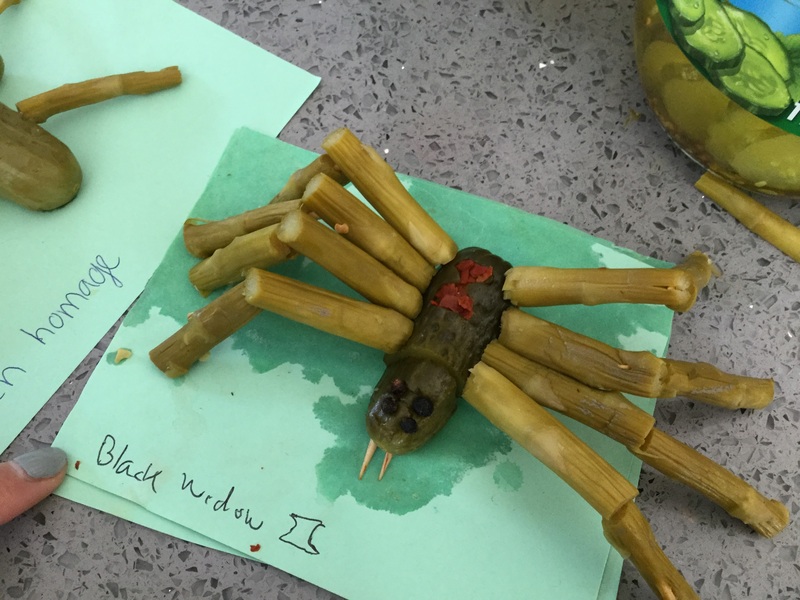 Some of the entries... 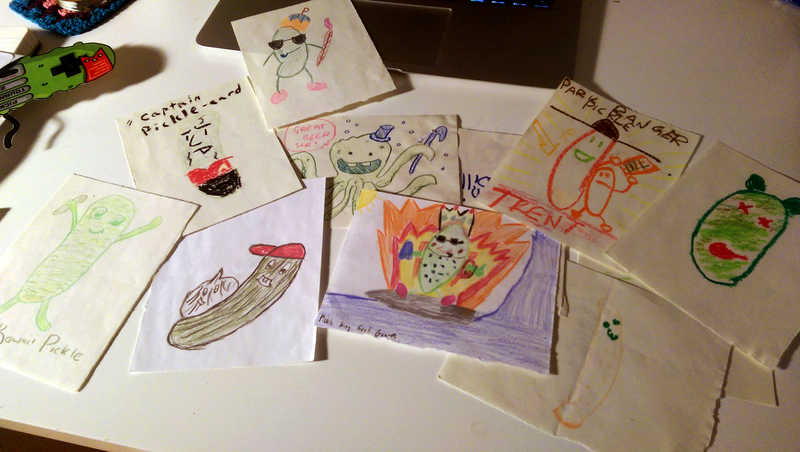 NOTE: "Captain Pickle-card" which on the back reads: Isaac's copyright infringe-y entry... classic Isaac. 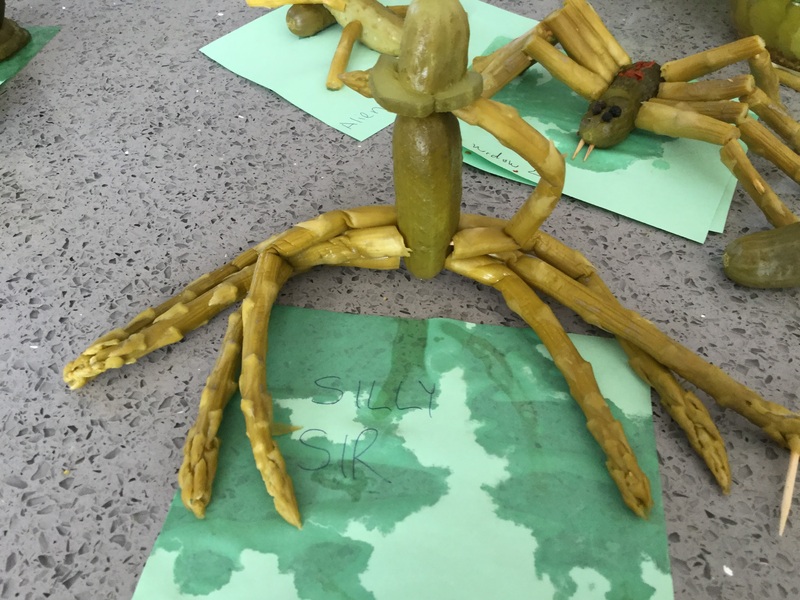 The winning entry. Somebody actually needs to make a mascot costume for the next competition... Any takers? 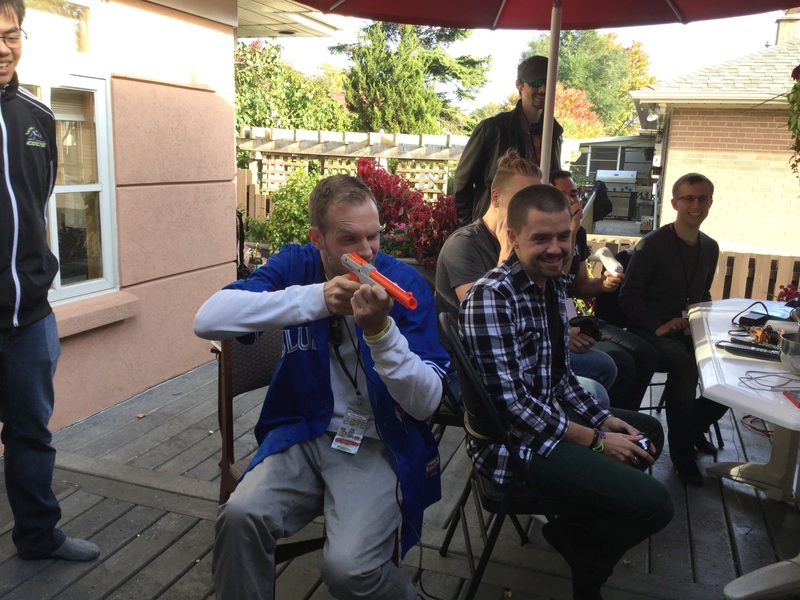 The 2nd Annual Pickle Tournament was a blast, but was confined exclusively to the back deck of my parent’s place. As such, it was rather crowded for the space. Fortunately the 3rd Annual PT was everything the 2nd should have been, and more. Tasting notes: medium-high caramel notes; malt-forward, bright hop aroma. Drop the mash temperature 2-3F for less maltiness, though it should remain the highlight. I find Apollo bittering hops make for an incredibly soft, pleasant bitterness. Again, Mario Kart 8 and Smash 4 were featured as “the big two” competitions, but this time we had a high-score Duck Hunt station for pick-up high-score besting, as well as a spacious Wii Sports bowling alley we arranged as our accessible game that would additionally appeal to our non-gaming friends. 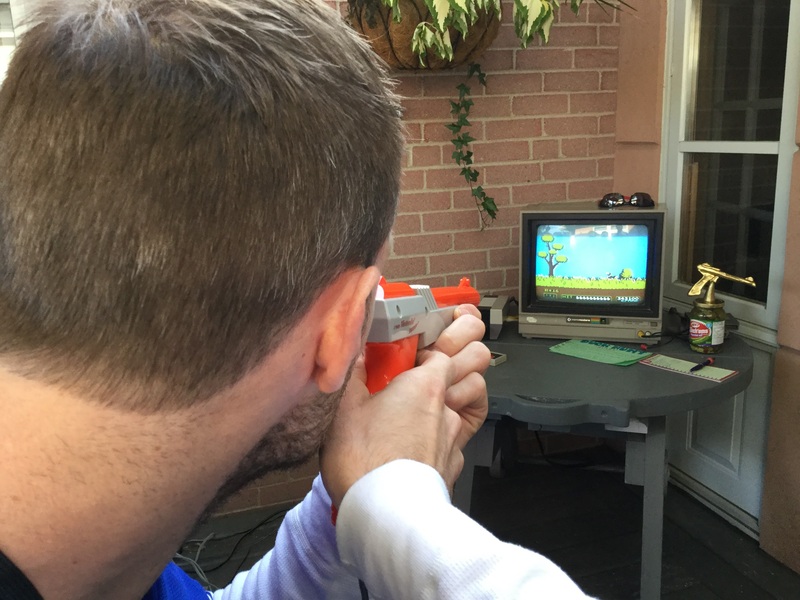 When Kailen stepped up to the plate for Duck Hunt, we knew nobody would top his incredible score of like, 28701291081 pts. This sort of high score station will likely persist through the ages of Pickle Tournament rotating through various retro games. We're always thinking up ways on how to improve an expand Pickle Tournament universe in fun and exciting ways. We've already got ideas for future events, and actively encourage suggestions and collaboration with participants. If you have a suggestions for things you'd like to see at a future event send an email to matt [at] sillysir.com . We hope to see you next year!